United Sciences’ core hole scanning technology can be applied to all precision engineering and machining holes as part of a precise, non-contact measurement, diagnostics, and analytics solution. United Sciences’ core hole scanning technology can be applied to all precision engineering and machining holes as part of a precise, non-contact measurement, diagnostics, and analytics solution. Our scanning technology is best applied to manufacturing processes where precise metrology, quality and repeatability are the most important and determining factors as our solution can create significant productivity gains, save meaningful rework and labor costs on behalf of manufacturers, and create higher quality, safer end products. 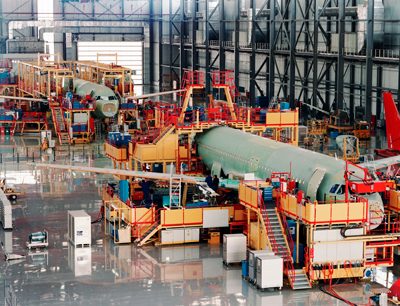 Air vehicles within the aerospace industry (airplanes, helicopters, UAVs, rockets, and missiles) are among the most complex machines manufactured today. Air vehicles’ components and parts are made to highly precise dimensional tolerances with little forgiveness for variability and fabricated from a variety of light weight, high strength materials. 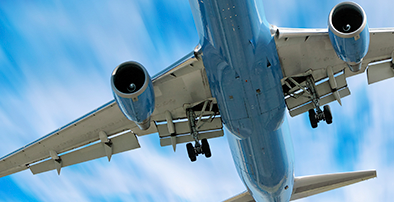 Fasteners are the primary means used to join all components, parts, and subassemblies of air vehicles. Rivets or bolts are inserted into holes that are tightly dimensioned to provide a precise fit for the fastener. Depending on the size and complexity of the air vehicle, a single airframe can contain as many as seven (7) million holes for fasteners. An enormous amount of holes in a modern aircraft must be inspected for dimension, depth, damage, debris, and perpendicularity. In some parts, every hole must be inspected. Presently, inspection is done by hand with multiple inspection tools, which is slow and subjective and provides tremendous opportunity to save time, increase consistency and reduce rework costs. Airframe manufacturers are yearning for alternatives to improve manufacturing efficiency. At the same time, automation machine manufacturers have developed multifunction end effectors that drill and insert fasteners. These machines are less efficient because holes still need to be inspected. The Aeroscan™ is the missing link that enables a major leap in manufacturing productivity by doubling throughput and creating a substantial return on capital. Aeroscan™ automates the hole inspection process, improving quality while creating tremendous industry cost and time savings for airframe OEMs by reducing inspection time and eliminating unnecessary rework. 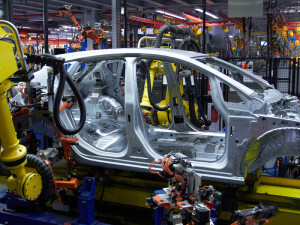 The automotive industry is the technological trend setter among manufacturing industries and like many other manufacturing segments, the automotive industry faces constant pressure to simultaneously reduce costs and maximize throughput while ensuring higher standards of quality. United Sciences’ digital hole inspection technology can be utilized to achieve these goals and help precisely measure a wide variety of holes within a high volume manufacturing process to improve quality control and increase productivity. 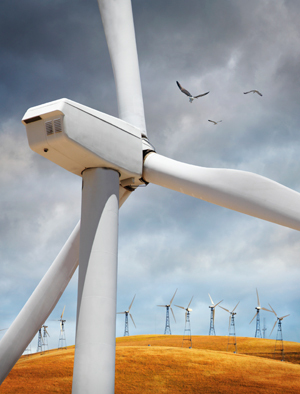 The continued growth of renewable energy and power generation technologies will require efficient, cost effective and precise manufacturing and assembly processes. From wind turbine manufacturing to nuclear power facilities to oil & gas machinery manufacturing – United Science’s 3D hole scanning technology can take any hole or cavity inspection process and create efficiencies and cost savings while improving the overall quality and compliance within the manufacturing effort. Any manufacturing or assembly process which requires precise metrology, quality measurements and repeatability of holes or cavities are potential targets for United Sciences’ scanning technology. Our engineers are happy to work with new industries to apply our technology and create new efficiencies and make quality improvements. 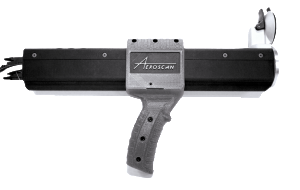 The Aeroscan is a non-contact, objective, technical advancement in modern air vehicle hole inspection and measurement and saves OEM’s, suppliers, and integrators millions of dollars a year through reduced inspection time and by the elimination of rework while improving quality. 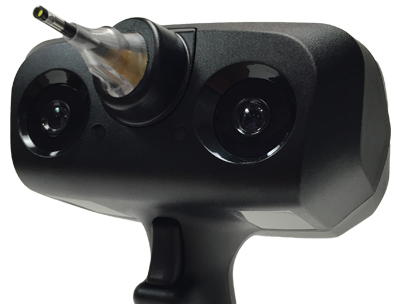 The Automated Aeroscan coupled with the Hand-held Aeroscan finally offers integrators a complete inspection solution, and can be used to re-inspect the “bad” holes identified by the Automated Aeroscan in a multi-function end-effector (drill, inspect, and fill) without having to move the end-effector back to the hole.